Can you show your reference? Right now im not sure if it´s abrassive paper or maybe stippling on the side of the handgrip. 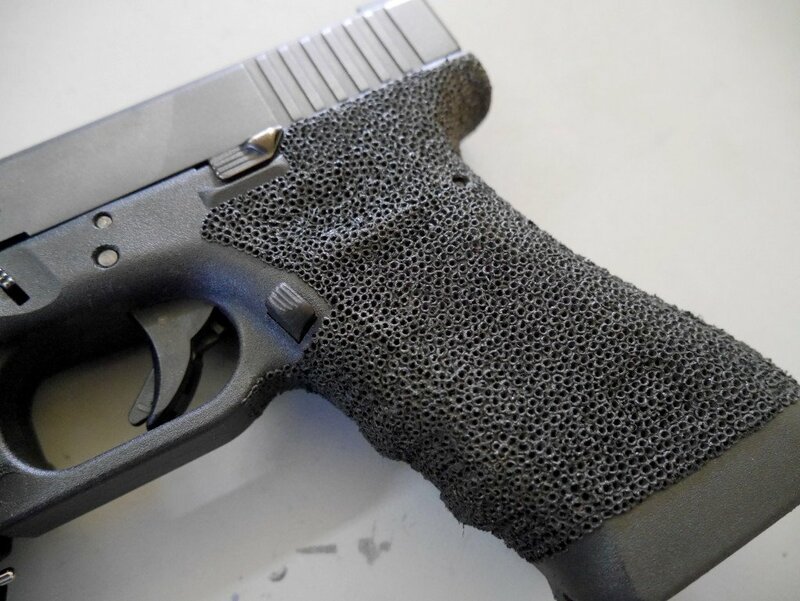 I was also searching for a tileable stippling material for my glock, but there is still no stippling material.